Estate planning is important for many retirees who still have assets that they will be leaving behind once they move on. To whom these assets will go to is the purpose of estate planning. In absence of it, these assets will usually be distributed among your relatives depending on intestate laws. This can sometimes lead to further confusion and conflict to the loved ones you leave behind. Estate planning helps you avoid these complications. But just like any other process, estate planning takes work, preparation and time. depending on your scope of assets, estate planning is usually not a one-time thing and then it is done. This is one common estate planning mistake many people make. Here are some of the others. Failure to check the beneficiaries of retirement accounts. One of the common mistakes people make on estate planning is neglecting to take note of the beneficiary designations on certain retirement accounts and even life insurance policies. Beneficiary designations of these accounts usually supersede what may be given on a last will and testament. People try to establish a trust in order to avoid probate court, which can be very costly and time consuming as well. But with establishing a trust some people neglect to re-title their assets to the said trust. When a person passes away, all assets still titled under his or her name goes to probate court for proper dispensing based on any last will or testament left behind. A trust will only be able to avoid having those assets go into probate when they are re-titled under the name of the said trust. 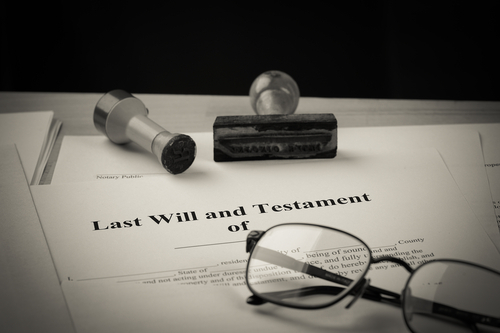 Another common mistake in estate planning is the failure to prepare a comprehensive documentation of all your assets and leaving them to your heirs. Without it, your heirs will be scrambling to make an exhaustive search of your accounts or assets on their own. There is always a risk of missing out on a key property that they do not know about. Some people thing that once you have made an estate plan, the you are already set. But while you are still living, there are instances that the plan may need to be updated. You may have bought additional assets that you have not yet included into your estate plan. You may need to make certain changes in your will based on certain circumstances. Whatever reason it may be, be reminded that estate planning is not just a one-time thing. You need to update it at certain periods to avoid complications as well confusion later on.